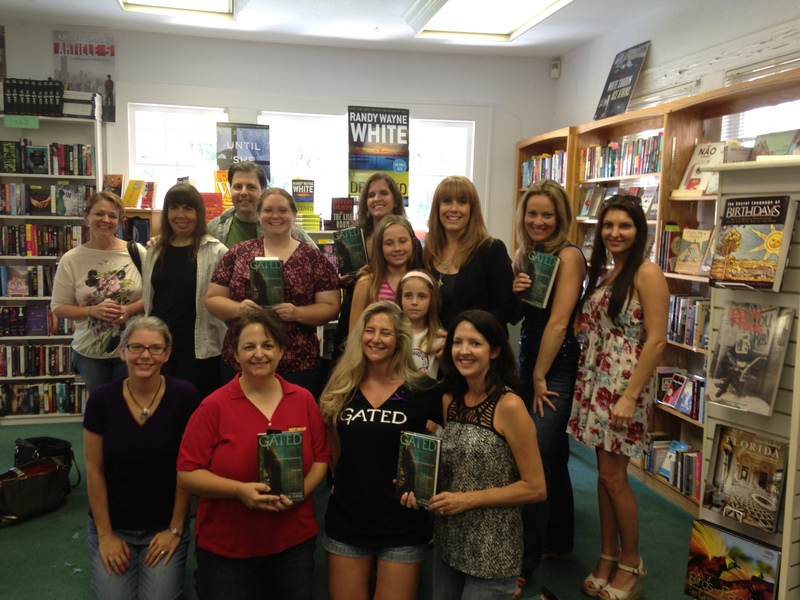 My Orlando writer peeps- Larissa Hardesty, Tara Gallina, Sarah Nicolas, Jessica Souders, and I- took a road trip to Amy Parker’s GATED book launch. Amy has been such an amazing support to me over this past year as both were preparing to launch our YA novels. So it was just so heartwarming to see Amy’s book enter the world. What an exciting time! 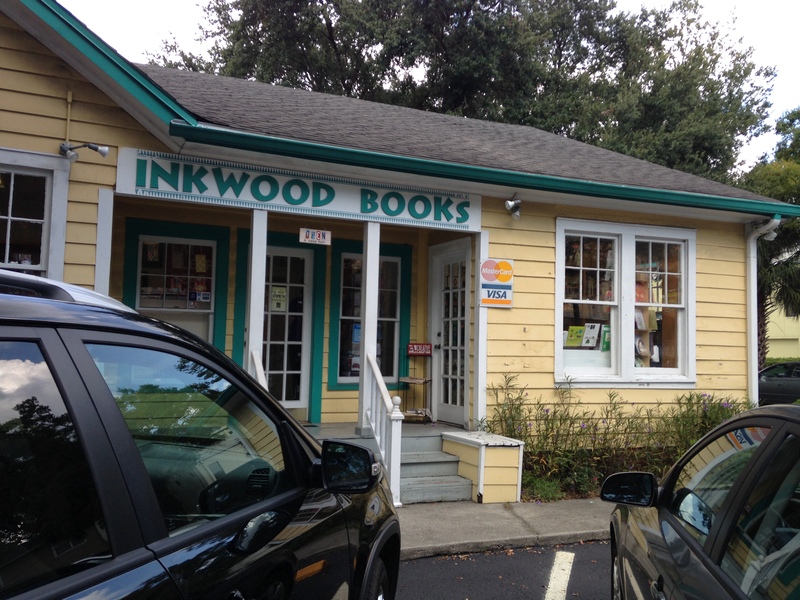 Her book launch was held at the adorable Inkwood Books in Tampa. We don’t have any cute bookstores like this in Orlando so it’s fun to browse the shelves and check out books I haven’t heard of before. She had all kinds of fun goodies such as cake, kisses, and gift bags for the winners of her raffle. 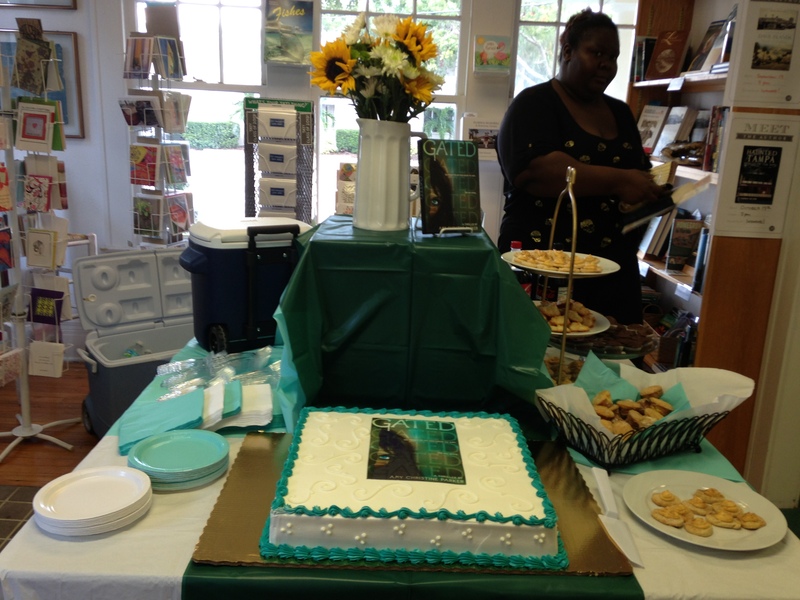 Everything was decorated in teals and greens that matched her cover. I thought, what better way to ‘experience’ her launch then to take video clips and show you! Once you’ve finished watching the video, comment below to enter to win an autographed copy of GATED! Tweet the contest and just let me know that you did in the comments section for an extra entry. Deadline is Sept. 30th. Open to US residents. 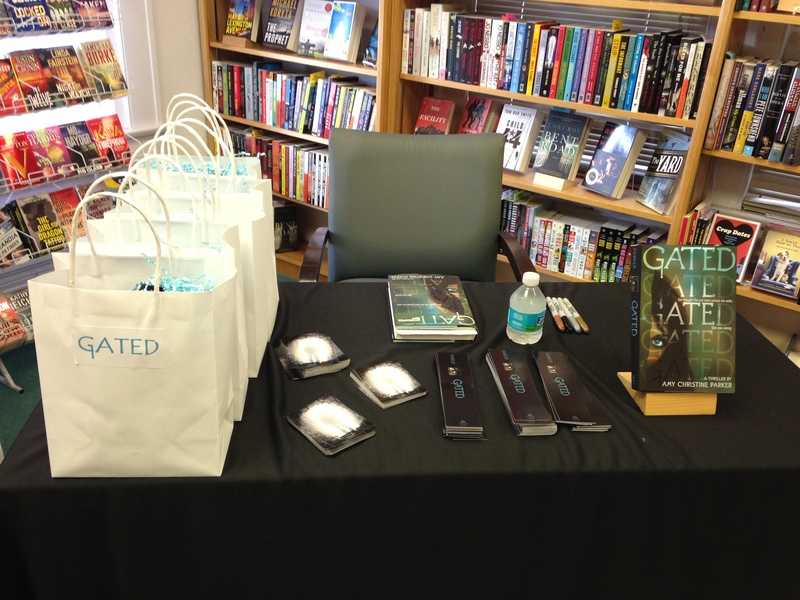 11 Responses to GATED Book Launch and Giveaway! What a sweet bookstore! Looks like you ladies had a wonderful time. 🙂 I have tweeted and and posted to FB! You are the queen of promotion, Christina! I love your videos and how willing to help others you are! It looked like an awesome launch. Jessie- I’m so excited about your book comes out too. It’s going to be awesome. Yeah, I love this kind of thing. I find it just pure fun. Great launch party and what a cool video. I love your site, Christina. Congrats to you on your upcoming release! Woot! Lynn- awww!!!! Thank you. That means so much to me. Love this launch! All those goodies and I’m not even talking only about the food. 😀 So much support! I just love seeing encouraging things like this. 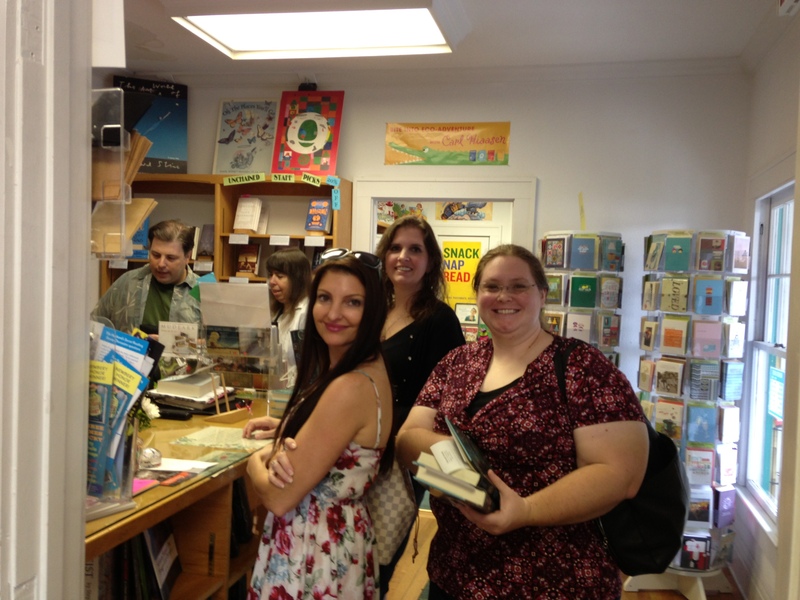 What a great event and I love the look of that bookstore. Thanks for sharing. Super cute little bookstore! Congrats to Amy. Looks like her book had a lovely little launch. It really was a lovely time!